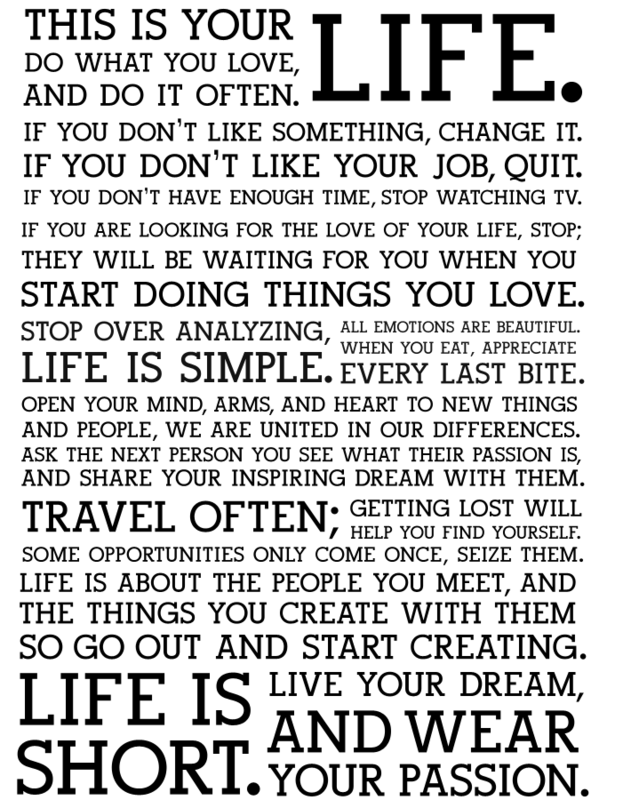 THIS IS YOUR LIFE; Do what you love, and do it often. If you don’t have enough time, spot watching TV. Start Doing The Things You Love. and share your aspiring dream with them.